Zeal is a great-tasting, health-boosting, energizing experience. With 50 functional superfoods, vitamins and minerals, it is your foundational support for complete vitality. Zeal can make you feel more focused, confident and productive. Many people even say it makes them feel happier. Zeal's natural source of energy provides long-lasting and stable energy that won't leave you crashing. An independent clinical study, published in the American College of Nutrition Journal, concluded that after 28 days of drinking Zeal twice a day, 85% of those studied felt better. Read more about the study,​ here. Made with only the most nutrient-rich ingredients and Zeal’s most powerful superfood, rice bran, Zurvita Protein is convenient and ideal for busy and active people-on-the-go. 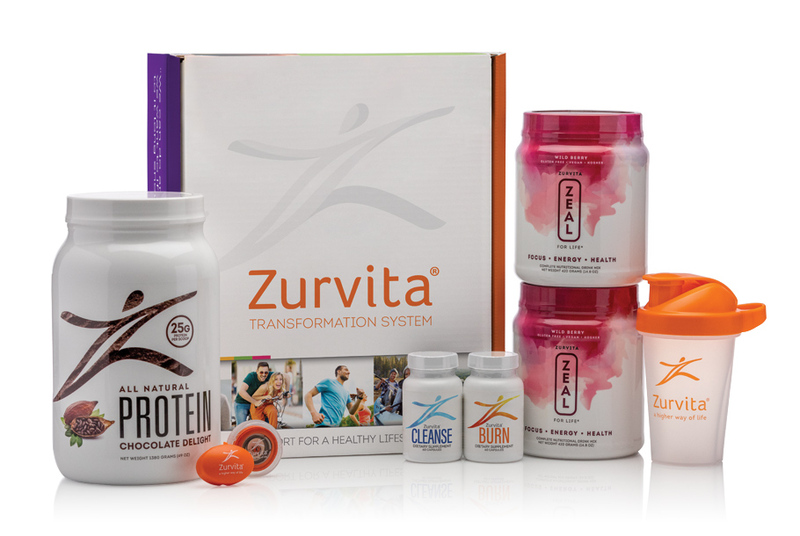 The complete nutritional product system and healthy lifestyle training to enhance your zeal for life, supported by Zurvita health and fitness coach, Peter N. Nielsen. When combined, these ingredients work to give Zeal its power. Zeal's most unique ingredient nourishes and stabilizes the cells of our bodies. It contains essential vitamins, minerals, amino acids, fiber, and antioxidants. Aloe Vera can help healthy people feel happier. It assists in healthy digestion, and with its polysaccharides, help enhance a person's mood. Turmeric assists the body in maintaining its immune function and in supporting against free radicals. Goji Berry helps support proper nutrition and may support the health of the eyes, skin and cardiovascular system. Ashwagandha promotes overall health and mood. It works as a stress-protective agent by assisting the body to stabilize during moments of stress. Moringa Oleifera is a great source of vitamins, minerals and amino acids with heart-healthy benefits. Fennel assists with healthy lung and digestive function and contributes to building and maintaining bone structure and strength. Noni Juice helps the body maintain energy levels and the immune system. It contains essential nutrients, phytochemicals, and antioxidants. Alfalfa leaf contains a multitude of nutrients that may support healthy circulation and the immune system. Green tea is not only a great source of naturally occurring caffeine for energy levels, but it may help promote heart, liver and brain health.